First of all, "deep dish" is not pizza. Come at me, bros. Bread lasagna, bread casserole, pizza-like pie thing, whatever it is, it is tasty. But it is not pizza. That said, I was delighted to sample the pie at The Star on Grand, right around the corner from our beloved Heart & Dagger Saloon in Oakland. The Star is managed by friend-of-Chowbacca and all-around great gal, Stella Davies, and it was because of her that I had even heard of The Star. Mark my word, however, the food here is "stella" and the place will blow up. I had antipasti (a selection of sopressata, marinated mushrooms and tiny mozzarella balls), chicken wings to start and a glass of the house red ($7, and pretty good – and a great deal). I split a large "Golden Gate" deep dish pie with half of the Lev's Kombucha crew (TKM and #2, for long time followers - hi mom). The sauce was rich and sweet, the meatballs were brimming with juice and fat and florets of ricotta adorned the top of the pie like decorations on a cake. Of course, no one in Chicago would have confused the cornmeal dusted crust for their home-town delicacy. Cornmeal seems to be a west coast conceit. Still, the dough for the crust was the proper combination of flaky (from the addition of fat or lard) and chewy (from kneading and rising). The Star also features sandwiches, actual pizza and gluten free pizza (which looked pretty good but I didn't sample). 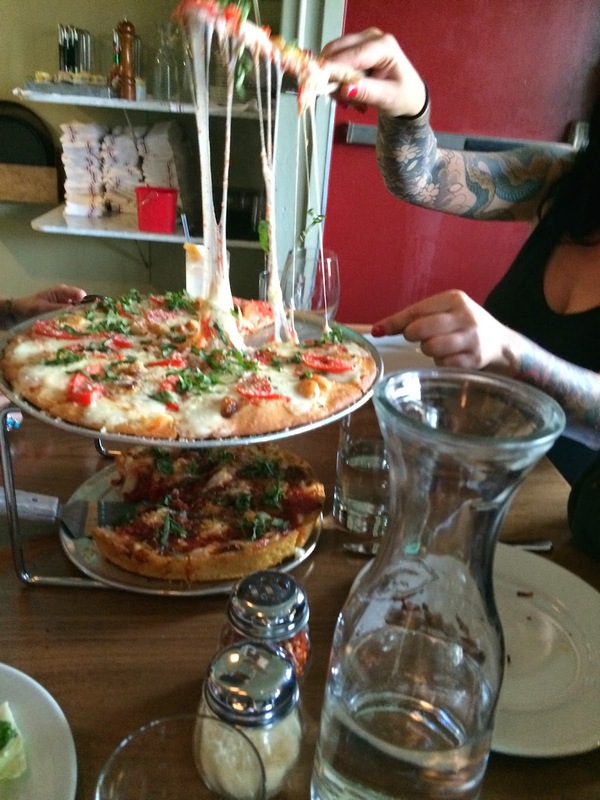 Stop in, grab a slice, then head to Heart & Dagger for a much needed, well-earned shot of Fernet Branca.